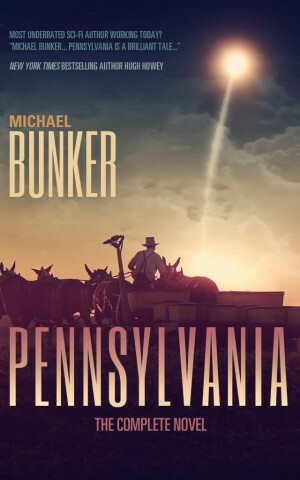 Michael Bunker is a tremendous talent of a writer, with success in his Wick – The Omnibus Edition and currently serialized Pennsylvania novel, which made it to #1 on Amazon for Science Fiction. He is also an off-grid farmer living in a plain community in Texas. He’s been writing for years, and built a following through his nonfiction blog and novel, Surviving Off Off-Grid , but he’s only been writing fiction professionally for over a year. He discusses how he built his audience and platform of writing to the point where he can now write full-time. We also discussed Pennsylvania, Wick, his fan fiction, his collaborative fiction project, cover art and more. Great guy and great fiction. Have a listen and then go buy his stories, you’ll be more than entertained. I am a big fan. I didn’t want to wait until Friday to keep reading Michael after how enamored he had me with his Pennsylvania story, so I went out and bought Wick Omnibus, which is actually a prequel novel he wrote after he wrote his first novel, The Last Pilgrims . We talked about them as well, both as how they are an Americanized version of the Waldenses, in a modern, post-apocalyptic, dystopian story, as well as how it was influenced by his love of Russian buy gabapentin for dogs online literature. Michael has written fan fiction in Kurt Vonnegut’s universe in Osage Two Diamonds , and in Hugh Howey’s Wool and Sand universes ( THE SILO ARCHIPELAGO and Dunes Over Danvar respectively). He discusses how those experiences helped his career and his take on writing fan fiction. 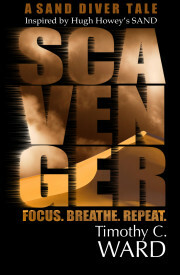 I have a Sand fan fiction story that I’m looking for a cover artist for. If you are a cover artist, comment below with your profile so we can check out your work. Michael uses David Gatewood for editing and for cover art, Jason Gurely (both of which also work with Hugh Howey). Check out these covers, which link to Amazon. Really enjoyed the interview. 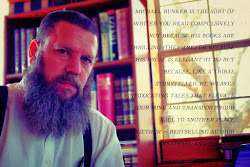 Michael is an interesting guy, and he talks a lot of sense about self publishing. At first the idea of Amish SciFi made me want to run away, very fast, but having listened to this I definitely want to read his stuff.